Evil Dead News - News Related To The Evil Dead Franchise: NECA Planning Ultimate ‘Evil Dead II’ Ash! 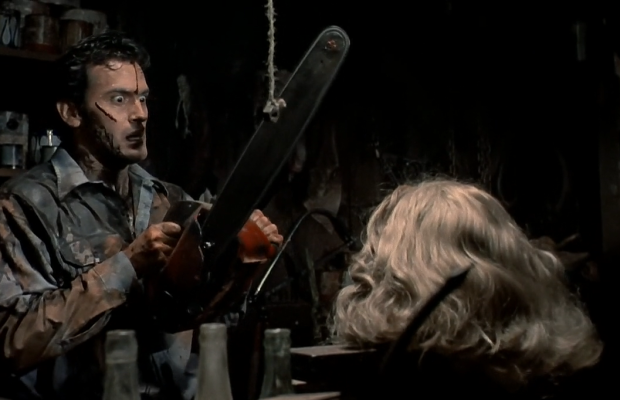 NECA Planning Ultimate ‘Evil Dead II’ Ash! NECA’s “Ultimate” line is one of the best ever, delivering gluttonous action figures of A Nightmare On Elm Street‘s Freddy Krueger, Friday the 13th: Jason Lives‘ Jason Voorhees and even Texas Chain Saw Massacre‘s Leatherface. Next on the list is Ashley J. Williams, as depicted in Sam Raimi’s classic 1987 Evil Dead II: Dead By Dawn! The toy company tweeted out stating that they won’t be looking to adapt Ash out of the “Fistful of Boomstick” video game because they’re already bringing us toys based on Starz’s “Ash vs Evil Dead” series to go along with the Ultimate version of Ash.